We value the contribution that the media plays in helping to get our messages out to the wider world, to hold us to account on behalf of the LGBTQ+ community and to generate important conversation around topics and issues of importance to our community. The following details should help assist you as a member of the media. Media Accreditation for access to the parade is mandatory. Please pre-register for your Pride in London 2018 media pass. There are a limited number of passes and we can’t guarantee a place if you register on the day. Media packs, including the media pass collection details will be emailed to all accredited members of media in the beginning of July. We will do our best to assist you with your work/assignment, and provide you with the best conditions we can for you to do your work. 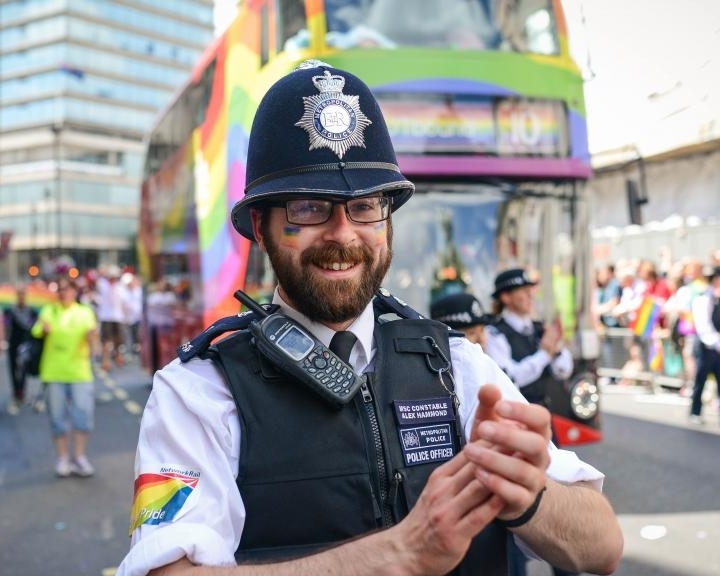 Please don't refer to us as 'London Pride' or 'gay pride' as these can cause confusion and also exclude other members of the LGBT+ community. Use of our logo is reserved for sponsors and media.